2. 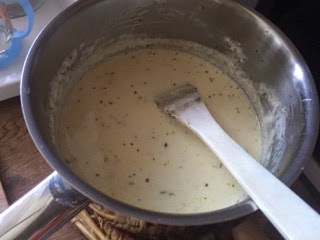 Add the milk stirring until smooth stir in the Parmesan and mozzarella. 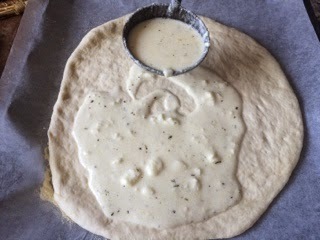 Season with oregano, pepper and salt.